J. Beach & Company, Engineers in Taunton, produced this steam car at its Pioneer Motor Works. 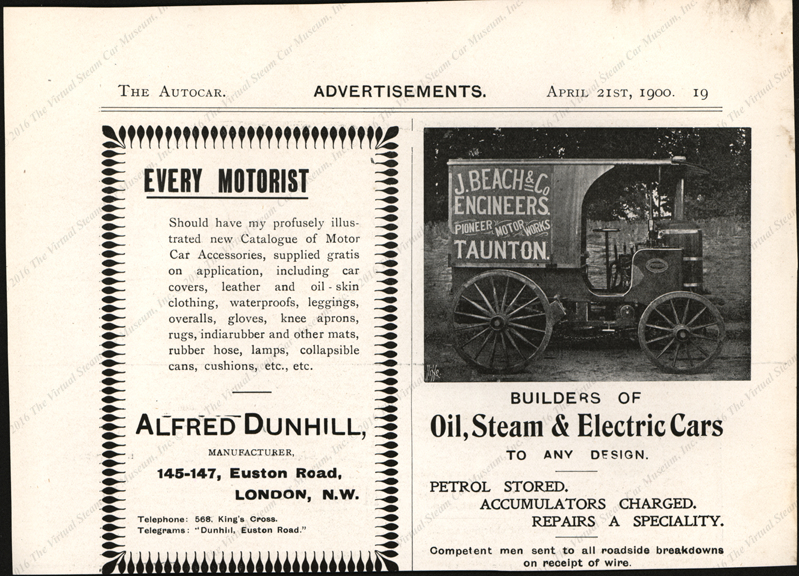 The Autocar of April 21, 1900 carried this advertisement for J. Beach & Co, which had produced this small steam delivery truck. Contact us if you have additional information about J. Beach & Company, its Pioneer Motor Works, or if you have questions.